The Harris County District Attorney's office has dismissed 90 drug cases after a Precinct 4 deputy constable threw away evidence connected to pending cases. HARRIS COUNTY, TX (KTRK) -- The Harris County District Attorney's office has dismissed 90 drug cases after a Precinct 4 deputy constable threw away evidence connected to pending cases. Now, investigators are reviewing all disposed cases back to 2007, involving more than 25,000 pieces of evidence. 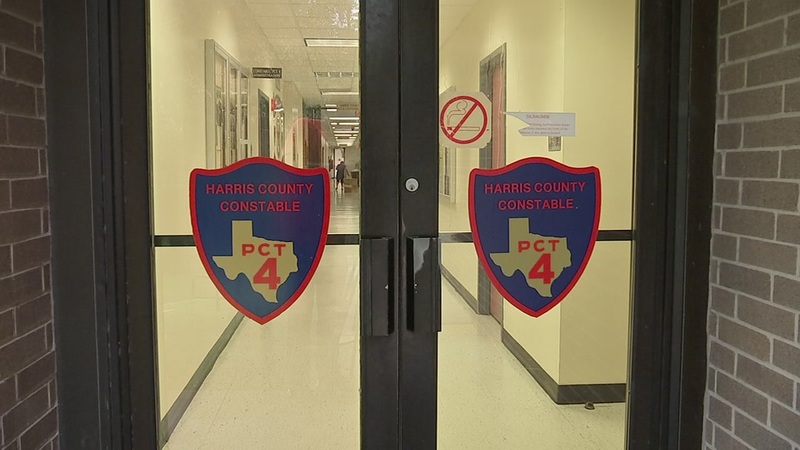 Harris County Precinct 4 Constable Mark Herman said a deputy was cleaning out an evidence storage room and accidentally got rid of evidence connected to pending cases. Herman said he immediately fired the deputy, who had worked in the evidence room for 14 years. No charges have been filed against the deputy. The Harris County District Attorney's office has a mess on their hands after a deputy constable threw away evidence connected to pending cases. On Thursday, a judge dismissed a case against a man who plead guilty and was sentenced to ten years in prison just two weeks prior. "Clearly an injustice has been done," attorney Samuel Gardner said. Barry Johnson plead guilty to three drug charges, including possession of marijuana between 5 and 50 pounds on August 11. A judge threw out the case on August 25 because the evidence in the case was missing from the Constable Precinct 4 evidence room. Johnson was being released from the Harris County Jail. "I was recently in contact with his wife and let her know the outcome of the case. She was ecstatic, obviously," Gardner said. "That's something we cannot have in our judicial system. If evidence is destroyed, those cases need to be dismissed," he said. A DA spokesperson said the prosecutor in the case did not know the evidence was gone at the time that Johnson entered his plea. "How many other innocent people have been sent to prison over cases with no evidence?" asked attorney Paul Morgan. His client was the first case to be dismissed because of the Precinct 4 evidence problems. District Attorney Devon Anderson said about 10 employees are now dedicated to sorting out the mess, including IT specialists, lawyers and investigators. The dismissed cases include felonies and misdemeanors.